With as much humility as I can muster, I think it is safe to say that I have written a successful novel. Collapse is closing in on 6K paid downloads and has 221 reviews, 172 of which are 4 and 5 stars. My point is not to brag, but to give you the qualifications to write this post. I would like to impart to you what I think are some tips to success. 1. Recognize the limits of your genre. Take a peek at this article. What genre does your work fall under? The most successful fiction genre is Mystery, Thriller, and Crime. I must say that surprises me, I would have picked Romance as the top genre. If your genre is towards the bottom of the list, it is unrealistic to expect great financial or critical success. My advice, approach your writing with realistic goals in mind based on these figures. 2. Hire an editor. Let’s be perfectly clear, your spouse is not an editor, your best friend is not an editor, your friends and family are not editors unless they edit professionally and have professional experience. They can still serve a vital function as proofreaders, which we will discuss in the next point. It doesn’t matter if you made straight As in English or even have an English degree. Professional editing has lots and lots of rules and you need someone who knows those rules backwards and forwards. Let’s take a little test to prove this point. Take the number 1309. How do you put that on the page? Do you type the digits or the words? How do you type the words? One thousand three hundred nine or one thousand three hundred and nine? Another example: You reference a TV show and a particular episode like Star Trek: The Next Generation with the episode The Inner Light. How do you put that on the page? Is the TV show italicized or underlined? Is the episode also italicized or is it in quotation marks? Is your head spinning yet? Here’s one more: president. When do you capitalize it? “President of the United States” or “president of the United States?” “Someone needs to contact the president” or “Someone needs to contact the President?” I could list many, many more examples. Afraid of the semicolon? I am. I still have trouble trying to figure out when to use it. How confident are you that you know all of these rules? Hire an editor. Mistakes on the page yank the reader out of the story when they notice them. My editor is Susan Hughes, visit her website and consider hiring her. 3. Use proofreaders. You need as many sets of eyes to read your work prior to release and proofreaders can help you to clarify confusing elements of the storyline or even point out factual errors in your work. In my latest work, one of the chapters deals with a naval encounter. I was never in the Navy, my knowledge of naval officer dialogue is limited to Kirk and Picard on the bridge of their respectiveEnterprise. I sought out a valuable resource I had at my disposal – a former navy officer. He read the chapter and sent me back notes on what naval officers would say and pointed out a glaring mistake on what goes on in a torpedo attack. Proofreaders can also give you honest input on what portions of the story are too slow or might even wound your pride and tell you that a particular chapter is pointless and needs to be cut. Listen to the input and take it to heart. Your proofreaders are representatives of every reader that will read your work. If portions of your work confuse or bore them, the same will be true for any reader. 4. Have your book cover done professionally. I am a horrible artist. There, I said it. Terrible doesn’t even begin to describe how bad I am. I was so terrible at the game Draw Something that I deleted it from my phone. I’m that bad. My next plan was to utilize my computer skills and become proficient at a graphic design program. I figured I could come up with something simple yet elegant. After six hours I had a solid black background with the word “Collapse” in a cool font right in the center of the image. My name was at the top, the tagline “America Will Fall” was at the bottom. It looked awful. It was time to hire a professional, which every indie author should do. I found a wonderful graphic designer on Twitter by the name of Laura LaRoche. Visit her website at www.llpix.com at take a look at her work. Her rates are very affordable. I simply gave her a detailed description of what I wanted and after some more input from me, I had an amazing cover. 5. Go exclusive with Amazon with the KDP Select Program. I can’t emphasize this enough. My success both financially and in terms of downloads is owed to KDP Select. Once enrolled in the program, you get paid per borrow in the Kindle Owners Lending Library (KOLL). If you are not enrolled in KDP, you get nothing from the KOLL program. At roughly $2 per borrow, I’ve had months in the $300 to $500 range simply from KOLL alone. Some of you might be wary of this, thinking that you will find more success making your work available across all platforms. In my own personal experience, for every 1 download from Barnes & Nobles, I have 20 from Amazon. In my non-KDP months, I’ve had 1 download from Kobo, Smashwords and 0 from iTunes. The numbers are there and they speak for themselves. The money I make from KOLL will never be made up from the other platforms. If you have found great success from other platforms, I’d love to hear about it in the comments with some tips on how you did it. During your free promos, it is imperative that you put the word out. Author Rachelle Ayala has a wonderful resource on her blog that will help tremendously. 6. Social Media. This outlet is a must for any indie author. I have sold a great many books from Twitter as detailed in this post. As I mentioned in that post, I highly recommend the program TweetAdder. It does all the heavy lifting for you and can gain you 200-300 followers a day if done right. You can also create lists of tweets talilored to certain needs like free promos, pushing your audiobook, pushing your novel, or pushing your blog. This blog gets 600-800 views a day and over half of them come from Twitter. Facebook can also be a valuable tool if used successfully. Create an author page on Facebook and use it to promote your work. FB also has very effective advertising options to reach the masses. You can create a post about your novel and for increments of $5, $10 and up to $50 you can promote that post to thousands of people. Do you have a blog? You should. Over the past year I’ve put a lot of work into this blog and have done my best to tailor it to advertise my book on every visit, no matter the content. Someone visits this blog, they will see the details for Collapse. 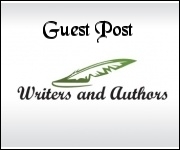 Use your blog to promote other indie authors as I have done. The indie community is a very open and sharing one, use that resource to your benefit. I promote other indies on this blog for no monentary compensation, the only thing I ask in return from them is to help me promote my free promo days when they come around. 7. Master the very tiresome art of advertising. Advertising is a full time job by itself. Get your name out there whenever you can. It might seem like a complete waste of time that gives nothing in return at first, but plant those seeds early on and they will bear fruit in the future. I have been very, very lucky to cultivate some influential people in my advertising ventures. You never know when that one special someone will read your book and contact you for an interview or a podcast. 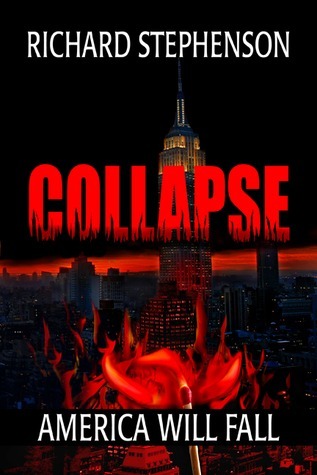 A few weeks ago a wonderful woman by the name of Lisa Bedford, aka The Survival Mom, read Collapse during a free promo and she loved the book. She contacted me for an interview and I was honored to be the first guest on her upcoming podcast. When she posted her review of Collapse, my Amazon ranking was in the 9K range, in the days following her review, the ranking shot up to 1,353, almost breaking my record. Her review also caught the eye of Lew Rockwell, a prominent political commentator, who reposted her review on his blog. Along with The Survival Mom’s podcast, I have done two others. The first was withThe American Preppers Network which helped boost my rankings in the early first few months of release. 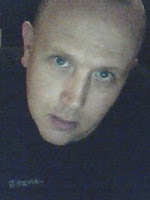 My most recent podcast was just a few days ago with Jim Harold, the top paranormal podcaster on iTunes. He featured the interview in The Consipracy Corner. Jim also gave me some very exciting news. He has a contact at Fox News, a man he used to do podcasts with, and he is going to pass along the word of Collapse and gave him my contact info. He made no guarantees, but having my book plugged on the weekend edition of Fox and Friends would be HUGE in terms of exposure. Put yourself out there, never turn down a promotional opporunity and constantly search for advertising ventures. That lucky break is around the corner. I cerainly never dreamed I would be so lucky as I have mentioned above. In terms of paid advertising, my primary piece of advice is to never gamble what you can’t afford to lose because there is no guarantee that you will get it back. If you have the funds to do so, there are many affordable resources out there. Kindle Nation Daily has some of the best in the business. They even have the numbers to back it up. Do your research and find out what best suits your budget. I have recently offered a $25 monthly promotional packet here on this blog. I think you can get a lot for your money, please look over the details and consider it. If you are willing to spend a decent amount of money, I highly recommendBookBub. They have very large email lists and you can really get the word of your novel out there to tens of thousands of potential readers. Another piece of advice in terms of paid advertising is not to over-saturate the market. It is unwise to use Kindle Nation Daily three times in one month, chances are you’ve reached the majority of their readership on the first one. Space it out. BookBub knows this and they only let you use their services every three months. 8. Interact with your readers as much as possible. At the end of Collapse, I included all of my contact info to include email address, FB, Twitter, and blog. I have been fortunate to interact with many fans over the last eight months. Glowing emails simply make my day, however, be wary that by putting yourself out there you are open to negative interaction as well. I receive dozens of tweets a day from readers and potential readers and I always reply to each one. 9. Receive praise, ask for a review. I have received a few negative reviews that make accusations that all of the four and five star reviews are questionable if not fraudulent. This is not the case. I honestly can’t explain the current 221 reviews my novel has received in just eight months. I certainly have not paid for reviews or created fake accounts to give myself positive reviews. I honestly wouldn’t know how to do that if I were so dishonestly inclined. One thing I have done in my interactions with fans is to ask them to leave an honest review on Amazon. I greatly appreciate complementary emails, tweets, and posts on FB, they truly make my day. I reply to them with my gratitude and a humble request to leave a review on Amazon. Since I am not actively soliciting people for reviews and instead interacting with fans, I see no issue with it. I’m certainly not telling them what to put in the review or asking them for five stars, so I see no harm. 10. Advertise your other works at the end of your novel. A reader has finished your work and enjoyed it, what’s the next logical thing they are going to do? They will seek out your other work. Between books 1 and 2, I have written a short story that deals with one of the characters from book one. At the end of Collapse, I provide a link to that short story. I also provide links to the audiobook version of Collapse. If you have written multiple books, advertise them at the end of the book and make it easy for your reader to find them. I look forward to your comments and more suggestions for being a successful indie author. After leaving the armed forces, Richard continued his law enforcement career in the federal sector and has been with the Department of Justice for twelve years. Wonderfully informative post, Richard. Thank you so much for sharing this information. I especially appreciate your link to your article on using Twitter because I haven't figured out how to use Twitter properly yet and your advice really gets down to the essentials. By the way, as a professional editor, I have to correct your use of the term "proofreader." The functions you describe are those of a developmental editor. A proofreader reviews copy after the copyeditor has edited it, to correct missed errors or to proof the galley for the compositor. Again, my thanks to you for this article. I'm going to print it out and absorb it today! And, of course, tweet it!